The year 2015/2016 saw the beginning of the consolidation phase of the five-year strategy from 2013 to 2018, adopted by the Board of Trustees in 2013. The year was characterised by the deepening of our work in dialogue and memory, the expansion of our reach to global and local audiences and a review of our governance structures, systems and processes. I'm pleased that the McKinsey review of our human resource capacity and functions has been completed. This resulted in new positions being created to support our work in dialogue and media analysis, as well as increased capacity to support our work in exhibitions. We commissioned Spencer Stuart to undertake a review our organisational culture and the first phase has been completed. A review of individual staff culture was undertaken and this was aligned with the institutional culture of the Foundation. I’m pleased with the outcomes so far, and the alignment of our staff and institutional culture. Work began during this reporting period on Values for the Foundation. These values were subsequently approved by the Board after broad consultation with employees. The harder work now begins to integrate them into the work of the Foundation and to measure our performance against them. Towards the latter half of the year the Foundation began the process of reviewing its fundraising strategy to ensure the long-term sustainability of the organisation. The focus is on both an endowment fund and programme funding with local and international support for our work. Particularly exciting are the new opportunities for crowd funding. Our internship programme continued during the reporting period. The Foundation hosted both local and international interns. Our International Mandela Day programme continues to grow beyond my expectations with ever more corporates, individuals, governments and international organisations taking part to contribute to social justice and to acknowledge and celebrate Mr Mandela’s legacy. We are slowly shifting focus to making every day a Mandela Day. In the second half of the year we commissioned a review of the Mandela Day programme that will inform a new strategy to involve more people in doing good. The Trek4Mandela entered its fourth year, and I was one of those who climbed Kilimanjaro to raise funds for sanitary towels for young women at school. The project has raised significant awareness and funds to support young women. The Nelson Mandela Annual Lecture addressed by Thomas Piketty was particularly significant as we see rising levels of poverty and inequality in South Africa and around the world. The Lecture gained traction in the academic community, among business and labour and the youth, as well as in popular discourses on the subject. The Foundation used the opportunity of the Lecture to relaunch as the Mandela Initiative a national project, started in 2012, to look at policy, best practice and practical recommendations on alleviating the high levels of poverty and inequality in South Africa. In 2015 the Foundation joined as a strategic partner, prompting the name change. Other dialogue interventions focussed on youth, particularly after the rise of the “Must Fall” movements at institutions of higher learning. Our interaction with student representative councils and other youth voices continued. The groundwork with students supported our interventions through AccessThuto to assist in mediating conflict at selected universities between management and students. The latter half of 2015 saw the launch of the Anti-racism Network of South Africa (ARNSA) comprising more than 80 organisations nationally working against racism. 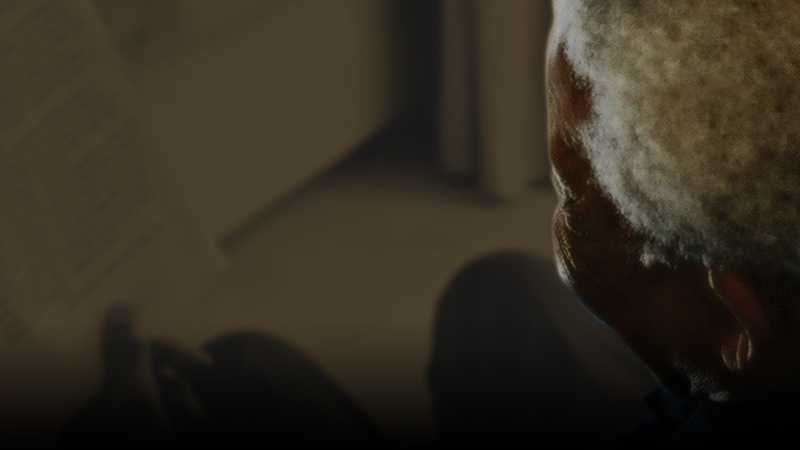 The formation of ARNSA was supported by the Nelson Mandela Foundation and the Ahmed Kathrada Foundation. The Foundation launched three exhibitions: The Power of Words,showcasing short documentary films inspired by Mr Mandela's words; a photographic exhibition called Between States of Emergency and My Constitution, celebrating 20 years since the adoption of the Constitution. We continue to focus on ensuring more access to our exhibitions by partnerships with other institutions that are interested in displaying them as well increasing footfall to the Foundation. We improved the search facility on our website to include all our databases that allows easier access for research purposes. We are also in the process of improving the cataloguing of all our collections. We received three important collection in the last year: Mac Maharaj donated material smuggled off Robben Island; Judge Goldstone donated his Goldstone Commission materials and Hassen Ebrahim donated his Codesa and Constitutional Assembly-related records. It has been a busy and productive year with much success. My thanks goes to the staff of the Nelson Mandela Foundation for their tireless efforts and hard work. None of our accomplishments would have been achieved without their dedicated service. I must also thank the Board of Trustees for their efforts in supporting our work. A word of special thanks goes to the Chairman of the Board, Professor Njabulo Ndebele for his unwavering dedication, personal wisdom and always making the time to be there for me. Mr Kathrada stepped down from the Board after many years of service to Nelson Mandela and the Foundation. I will miss his wise counsel. While he no longer attends Board meeting, we are fortunate to continue our close association with him. Finally, I wish to thank our partners, donors and stakeholders for their support.